Nobody beats Morningside Plumbing for water heater replacement in Atlanta. 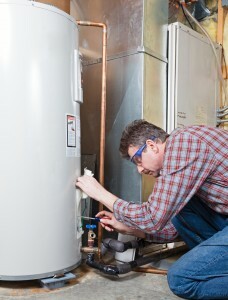 Water heaters have become almost essential to our daily lives. Although they are especially useful in the wintertime, they are even used in the warm weather months for cooking, cleaning, and other tasks requiring hot water. Most water heaters are designed to last for a long time, but nothing lasts forever. So, when it comes time to replace your water heater, there are a lot of matters to consider. First, you need to keep in mind that the process of swapping an old water heater for a new one can be a tricky one. One of the trickiest parts is that something has to heat the water. In other words, your heater must be connected to either a gas line or an electrical line. Anytime gas or electrical lines are involved, there’s a risk. That’s why it’s usually not a good idea to swap out water heaters on your own, unless you are experienced in the field. One of the primary reasons to replace your water heater, aside from a major malfunction or general age, is that it may not be meeting your needs. If you have recently expanded your hot water usage, you might need to get a hot water heater that can handle the new volume. The trouble is that determining exactly which type and size water heater you should get can be tricky, just like the actual replacement process. Another thing to consider when replacing your water heater is that converting from a tank water heater to a tankless model is not as simple as just pulling one out and hooking the other up in its place. A tankless water heater requires an entirely different setup and procedure. That conversion process can be difficult, if not impossible, unless you have the proper training. The easiest and most straightforward way to avoid all these water heater replacement problems is to call in a professional company that really knows what they are doing. Here at Morningside, we have master plumbers and trained service technicians who can easily assess your home’s individual situation. Our experts can do everything from suggesting the best new water heater to installing it for you. The process is simple. When you call us, we’ll set up an appointment to come look at your old water heater. We’ll also assess the water usage in your home. Based on that information and the type of water heater you want (tank or tankless), we’ll suggest and install the perfect model for your home. We’ll walk you through the process as we work, and we won’t rest until your hot water heater is fully installed and working perfectly. So, don’t wait for your hot water issues to get out of control. If you think it’s time for a water heater replacement, give us a call at (404) 873-1881. We’ll be happy to use our expertise to give you the hot water flow that you need and deserve. Looking for tankless water heater installation? Click to read more about Tankless Water Heater Installation.